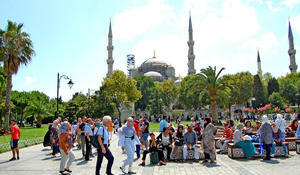 In 2018, 1.35 million tourists from Central Asia (Kazakhstan, Kyrgyzstan, Uzbekistan, and Turkmenistan) visited Turkey, the Turkish Culture and Tourism Ministry told Trend Feb. 1. 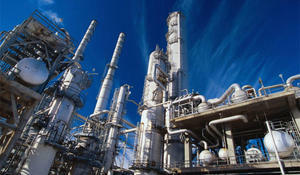 Asia is forecast to be the major contributor to the growth of the global refinery hydrocracking units industry between 2018 and 2022, accounting for around 45% of the global planned and announced refinery hydrocracking unit capacity additions by 2022, according to leading data and analytics company GlobalData. In January-October 2018, the number of Asian and Middle Eastern tourists who visited Azerbaijan significantly increased, State Tourism Agency of Azerbaijan told Trend. At least three North Asian buyers will receive extra supplies of oil from Saudi Arabia after the kingdom cut its prices for most grades in October and as they look to cushion the impact on supply of U.S. sanctions on Iran, sources said, Reuters reports. Emerging and developing Asia will grow at around 6.5 percent over 2018–2019, broadly the same pace as in 2017, according to the IMF’s updated World Economic Outlook. Crude futures fell in early trading in Asia on Friday as concerns about a global oil glut returned to the fore and traders wait on data from China, which is expected to report its lowest growth rate since 2009, Reuters reported. Asian imports of Iranian oil in March jumped 50 percent from a year earlier as shipments into India and South Korea have climbed since international sanctions were lifted on Iran's disputed nuclear program, Reuters reported on April 28. Presidents of Turkmenistan and Kazakhstan Gurbanguly Berdimuhamedov and Nursultan Nazarbayev exchanged views on relevant regional and international issues of mutual interest over phone, the Turkmen government said April 23. Distinguishing diplomatic rhetoric from official policy is never easy. But it is especially difficult in China, where the government’s actions so often fail to match its statements. Given this, it is worth asking whether the latest slogan adopted by Chinese officials – “Asia for Asians” – is merely nationalist posturing for domestic consumption or a signal of a genuine policy shift.